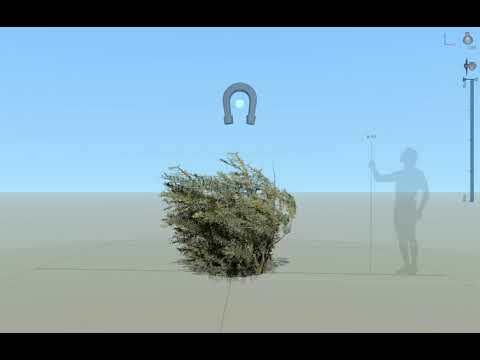 Wind animation in UE not matching the Modeller. I'm currently having a bit of trouble in getting my Wind animation into UE exactly has I intended it. I seem to have the most problems when I play with the leafs. If its fronds, I generally can get a pretty good result, but leaves tend to do a bit whatever they please. I posted the correct animation running in the modeller in a comment since I can't figure how to post two links. Last edited by Geada; 08-20-2018, 12:54 PM. Animation running in the Modeller. Hi Gaeda, What version of the modeler are you running? 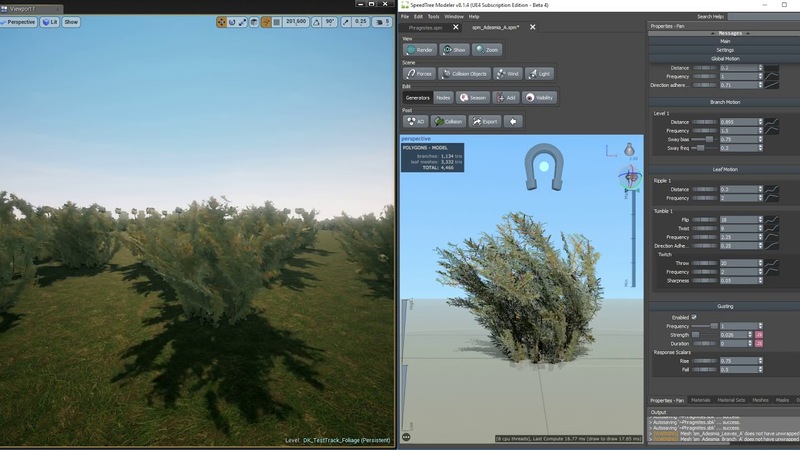 In the modeler video you're showing the leaf wind at max...can you clip what your wind settings are? I'm using the Modeler v8.1.4 for UE4. Managed to attenuate a bit of the differences by increasing the Direction Adherence, but it's still missing a lot of the quality that existed in the Modeler, especially when concerning directionality. 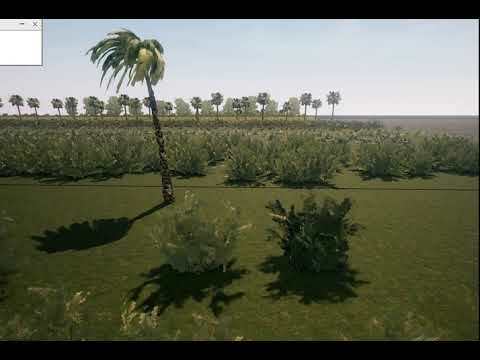 I took the chance to include all the info you asked in the new clip, and I also included another plant that it's much simpler, (Just 3 Leaf nodes) and still does not behave has it should.